If you are like so many of our visitors worrying about whether our deal is a genuine ones, we hope that the following testimonials from our happy customers would clear your doubts. Hear what our customers said about us? The total cost of your deal for 8 attractions is S$352 for 2 adults, total of 16 adult tickets. Here's a picture of us at Merlion park. Thank you so much! We thoroughly enjoyed. 13. Night Safari (include tram ride)(entry time 9:15pm). The total cost of your deal for 13 attractions is S$1,113 for 3 adults, total of 39 adult tickets. The total cost of our deal for 5 attractions was S$465 for 3 adults, total of 15 adult tickets. I heard of this site when looking up the internet for my visit to Singapore (Nov 3rd to Nov 7th, 2018). I read the reviews and dropped a note to Derek. He was quick in responding to my email. 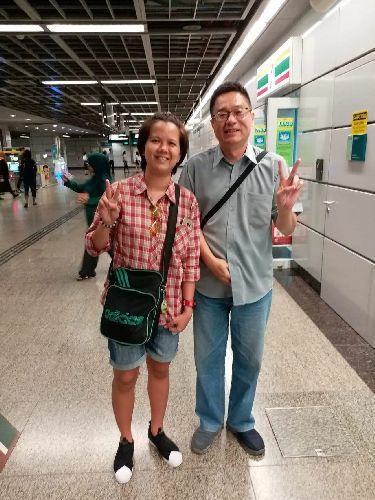 His partner, NG handed over the tickets at Chinatown MRT. Being tourists, we were lost, but NG made sure he reached us. He also shared tips on which places we could quickly visit near Chinatown, since we were already there. I strongly recommend that you use Derek’s services to get the tickets. Thanks again, Derek! You made our visit to Singapore a memorable one! The total cost of your deal for 11 attractions is S$1,168 for 4 adults, total of 44 adult tickets. Universal Studios Singapore (10 adults tickets). Gardens by the Bay (include Flower Dome and Cloud Forest entrance tickets)(12 adults tickets). Night Safari(include tram ride)(entry time 9:15pm)(12 adults tickets). The total cost of your deal for 3 attractions is S$1,398, total of 34 adult tickets. Sure, I attached photos here taken from our trip in Sentosa Island. Hope you will have a lot of customers. 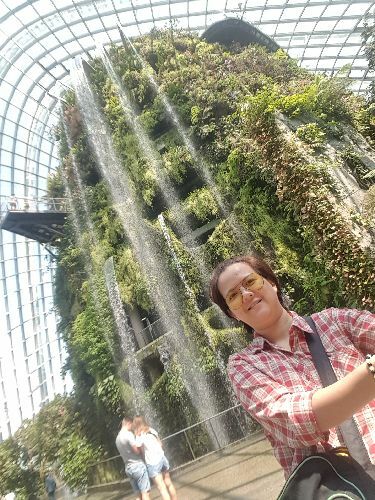 Two Ways Cable Car (include Mount Faber Line + Sentosa Line + Island Admission), Sentosa Luge and Skyride(2 rides), Madame Tussauds and Images of Singapore Live Combo, Gardens by the Bay (include Flower Dome and Cloud Forest entrance tickets). The total cost of your deal for 4 attractions is S$316 for 4 adults, total of 16 adult tickets. Thanks for your note. 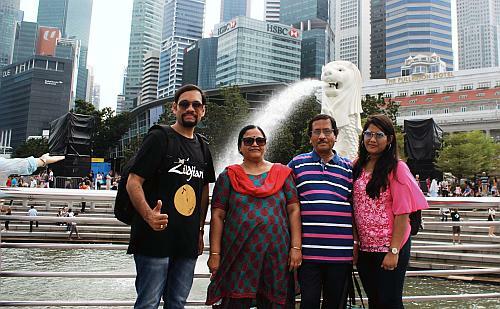 We had a wonderful time at Singapore, your help saved us many hassles on getting tickets and more importantly which places to visit. I would be happy to share our pictures and review. Can you share which section of your website has those details? 5. Night Safari (include tram ride)(entry time 9:15pm)(3 adults + 2 child tickets). The total cost of your deal for 5 attractions is S$661 for 2 adults and 2 child, total of 11 adult tickets and 10 child tickets. Universal Studios Singapore, Gardens by the Bay (include Flower Dome and Cloud Forest entrance tickets), OCBC Skyway, and SEA Aquarium. The total cost of your deal for 6 attractions is S$1,202 for 9 adults and 1 child, total 36 adult tickets and 4 child tickets. We had a wonderful time at the sites. We highly recommend Derek where he gave us good discount for all tickets. Also we did not wait in lines to enter..
Two Ways Cable Car (include Mount Faber Line + Sentosa Line + Island Admission), Universal Studios Singapore, Madame Tussauds and Images of Singapore Live Combo, S.E.A. Aquarium, Gardens by the Bay (include Flower Dome and Cloud Forest entrance tickets), Singapore Zoo (include tram ride). The total cost of your deal for 6 attractions is S$1,082 for 4 adults and 3 child, total of 24 adult tickets and 15 child tickets. Also, child below 4 years old get free entry to SEA Aquarium, 2 ways cable car and Universal Studios. Good morning. As requested, here is a picture to demonstrate our sheer gratitude for the service you provided us with. Thanking you again for all. Universal Studios Singapore, Marina Bay Sands Skypark, Wings of Time and Two Ways Cable Car (include Mount Faber Line + Sentosa Line + Island Admission). The total cost of your deal for 4 attractions is S$615 for 5 adults, total of 20 adult tickets. Sentosa Luge and Skyride(2 rides), S.E.A. Aquarium, Wings of Time (only 8.40pm show), Singapore Zoo (include tram ride), River Safari (include boat ride), Two Ways Cable Car (include Mount Faber Line + Sentosa Line + Island Admission). The total cost of your deal for 6 attractions is S$1,657 for 11 adults and 2 child, total of 66 adult tickets and 12 child tickets. Please find attached photo for your comment, your tickets are great, good value, save time to purchase the ticket. However, 1 thing want to remind the other traveller is they can actually purchase the shuttle ticket to zoo when they arrive there if they don't have the transportation card. Thx for your great ticket and help. S.E.A. Aquarium, Gardens by the Bay (include Flower Dome and Cloud Forest entrance tickets), Singapore Zoo (include tram ride). The total cost of your deal for 3 attractions is S$196 for 2 aduls and 1 child, total of 6 adult tickets and 2 child tickets. Also, child below 4 years old get free entry to SEA Aquarium. Universal Studios Singapore, Sentosa 4D Adventure Land (3 choose 1), Sentosa Luge and Skyride(2 rides), Marina Bay Sands Skypark, S.E.A. Aquarium, Wings of Time (only 8.40pm show), Gardens by the Bay (include Flower Dome and Cloud Forest entrance tickets), Jurong Bird Park (include tram ride). The total cost of your deal for 8 attractions is S$560 for 2 adults and 1 child, total of 16 adult tickets and 8 child tickets. The following are the finalised attractions for his deal: Two Ways Cable Car (include island admission), Universal Studios Singapore(USS), Sentosa 4D Adventure Land (3 choose 1), Sentosa Luge and Skyride, Madame Tussauds Singapore and Images of Singapore Live Combo, Underwater World Singapore & Dolphin Lagoon, Marina Bay Sands Skypark, SEA Aquarium, TrickEye Museum, Adventure Cove Waterpark, Wings of Time, Hippo City Sightseeing Tour, Gardens by the Bay (include Flower Dome & Cloud Forest entrance tickets), DuckTour, Singapore River Cruise, Singapore Zoo (include tram ride), River Safari (include boat ride), Jurong Bird Park (include tram ride), National Orchid Garden (in Singapore Botanic Gardens), Alive Museum. The total cost of his deal for 20 attractions is S$1203 for 2 adults and 1 child, total of 40 adult tickets and 19 child tickets. Thank you for all the tickets and arrangements. We all enjoyed the trip very much. 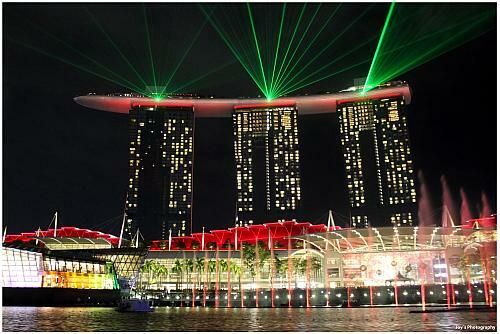 I have recommended your website to some of my friends who are planning to visit Singapore in near future. Two Ways Cable Car, Universal Studios Singapore(USS), Sentosa 4D Adventure Land (unlimited), Sentosa Luge and Skyride, Underwater World Singapore & Dolphin Lagoon, Marina Bay Sands Skypark, SEA Aquarium, TrickEye Museum, Wings of Time, Gardens by the Bay, Singapore Flyer, Singapore Zoo, River Safari, Jurong Bird Park, National Orchid Garden (in Singapore Botanic Gardens). The total cost of this deal for 15 attractions is S$923 for 2 adults and 1 child, total of 30 adult tickets and 14 child tickets. Sunil came here for a 6 days holidays from 20 to 25 Dec 2015. He purchased from us the below deal which costed S$1125 for his family of 2 adults and 2 children. The following are the finalised attractions for his deal: Two Ways Cable Car (include Island Admission), Universal Studios Singapore, Madame Tussauds and Images of Singapore Live Combo, Marina Bay Sands Skypark, S.E.A. Aquarium, Adventure Cove Waterpark, Wings of Time, Gardens by the Bay (include Flower Dome and Cloud Forest entrance tickets), DUCKTour, Singapore Flyer, Singapore Zoo (include tram ride), Jurong Bird Park. The total cost of his deal for 12 attractions is S$1125 for 2 adults and 2 child, total of 24 adult tickets and 24 child tickets. Thx a lot Derek . Trip went off great courtesy you. The following are the finalised attractions for his deal: Garden by the bay, Singapore Flyer, Universal Studios Singapore(USS), Wings of Time, Two Ways Cable Car, Sentosa Luge and Skyride, Sentosa 4D Adventure Land (3 Choose 1), Underwater World Singapore & Dolphin Lagoon. The total cost of his deal for 8 attractions is S$517 for 2 adults and 1 child, total of 16 adult tickets and 8 child tickets. One of my friend will also mail you for your assitance and services. His name is Kapil Bhat. I hope to look forward to meeting you in Singapore. Keep up the good work. The following are the finalised attractions for his deal: Singapore Flyer, Singapore River Cruise, Universal Studios Singapore, Wings of Time, Two Ways Cable Car, Sentosa Luge and Skyride, Sentosa 4D Adventure Land (3 Choose 1), Underwater World Singapore & Dolphin Lagoon, HIPPO City Sightseeing Tour, Gardens by the Bay, Ducktour. The total cost of his deal for 11 attractions is S$526 for 2 adults, total of 22 adult tickets. I just finished my singapore tour and i would like to thank you for those tickets and information which you gave me prior to my visit. It was a wonderful visit and i would be coming back in future. Your ticket arrangements and suggestion were great and i enjoyed a lot. We consumed all the tickets that I have requested. Thank you so much for your kind and consideration to the situation which I become doubtful because it was my first time to deal to the person involving a huge amount of money (for me) I have not yet met. The last time I was in Singapore was a group package tour. I was impressed with you to deliver the tickets in our hotel and issued me a receipt. Next time, I visit your country I will directly contact you and also I recommend you to my other office mates whenever they want a discount tickets for other attractions. Again, my appreciation for your good gestures to me. Bless you always and your family! I will save your gmail ID for future references.